“It is better to light a candle than curse the darkness”. After 9/11, many people left lit candles at memorials around Manhattan. This simple act communicated hope in a time of shock, grief, and sadness. After Hurricane Sandy, many of us again lit candles. This time, it was a practical way to avoid sitting in the dark, walking in the dark, and falling down the stairs. 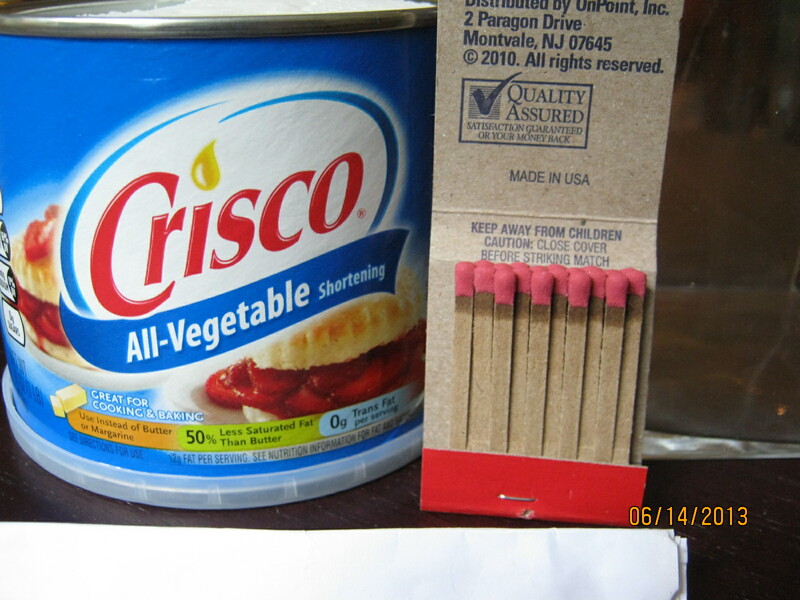 Do you know that you can use a can of Crisco as a makeshift candle? A rolled up piece of paper or some string can serve as a wick. I did not expect to find Crisco at the local supermarket. However, it was there, in the baking goods aisle. Don’t be discouraged with your first attempt. Because Crisco is soft, the wick goes in easily. However, you may need to light the wick several times before it catches fire and CONTINUES to burn. The good news? According to the experts, these Crisco candles will burn for a very long time. Let’s face it. Preparedness is a complex topic. Some people have an advantage when it comes to emergency preparedness. People who spend time camping, people in the military, and other people with special training have the necessary knowledge as well as hands-on experience. However, for many other people, living without basic services is a new and frightening idea. One of my favorite sayings is this: “A journey of a thousand miles begins with a single step.” Don’t let fear keep you from taking that all important single step into the unknown. Do you have a quick and simple idea for emergency preparedness? If so, please share it in the Comments section.